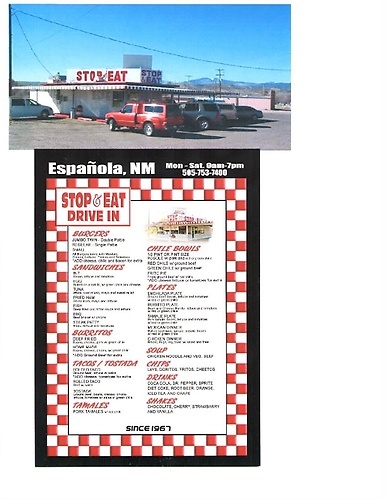 Family owned and operated since 1967, Stop & Eat Drive-In has served delicious New Mexican dishes at its fast food location. Menu includes: burgers, fries, sandwiches, burritos, tacos/tostadas, tamales, chile bowls, soups, chips, drinks and shakes. Stop & Eat today and/or place your order 505 753-7400!